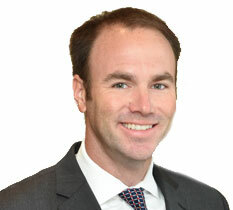 David A. Sturdivant joined Barrow & Grimm, P.C. in 2009 and is now a shareholder with the firm. David graduated from Southern Methodist University in 2002 with his bachelor of business administration in accounting and finance. Following graduation from SMU, David attended the University of Oklahoma College of Law where he graduated in 2005. Prior to joining Barrow & Grimm David practiced law in Oklahoma City. David’s practice primarily consists of commercial and business-related litigation involving complex commercial transactions and contractual disputes and complex family/domestic law. David has handled cases in state and federal courts at all levels. David has been recognized by Super Lawyers® as a “Rising Star” from 2011-2015. David is admitted to practice before all Oklahoma courts. He is also a member of the Tulsa County Bar Association, Oklahoma Bar Association and American Bar Association. A native Tulsan, David is active within his community organizations including the Tulsa Zoo, the Oklahoma Lawyers for America’s Heroes program, and the Oklahoma Centennial Botanical Garden.